The flip flops are applique. 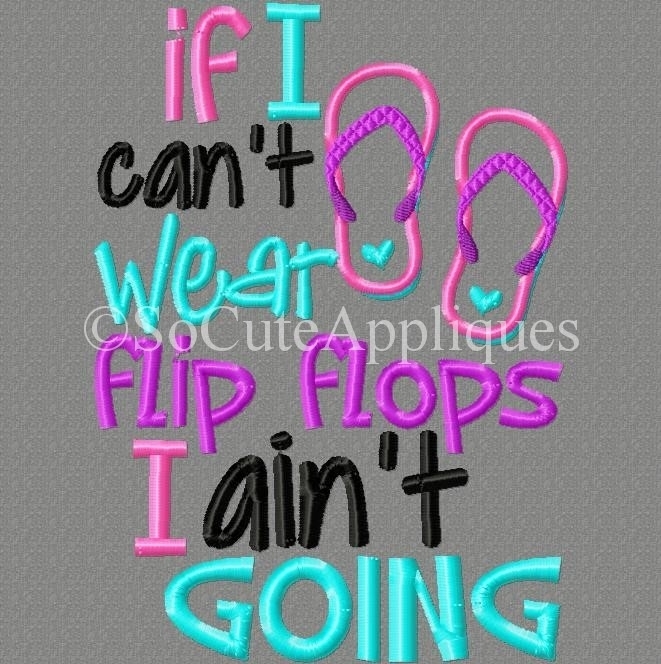 Flip Flops Applique - 3 Sizes! Sorry I Don't Do Quiet - 2 Sizes! Finish Size 4.91" x 6.86"